Georgia’s agriculture industry is already booming. It brings in more than $71 billion to the state each year – but its researchers, farmers and distributors never stop innovating. 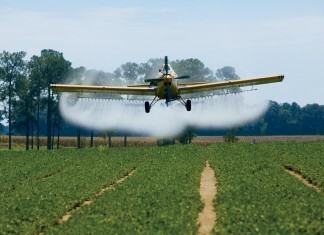 From introducing new commodities such as stevia to establishing a local distribution system for organic farmers, Georgia agriculture remains a dynamic industry with plenty of room to grow. With the rise of obesity, diabetes and hypertension, many Americans have turned to artificial sweeteners, which may have their own negative side effects. But stevia, a perennial sweet herb in the sunflower family, has earned a reputation as a safe, natural sugar alternative. It does not alter blood sugar levels, making it safe for diabetics, and research has shown stevia is helpful in weight and blood pressure management. In the fall of 2012, researchers at Fort Valley State University received a $100,000 grant from the Georgia Department of Agriculture to find the best way for growers to make stevia a profitable and sustainable new commodity for the state. Currently, 80 percent of stevia is grown in China, but that country has cut stevia production even though worldwide demand is rising, Kannan says. This creates an opportunity for U.S. farmers, especially in Georgia, where the climate is perfect for growing the herb. 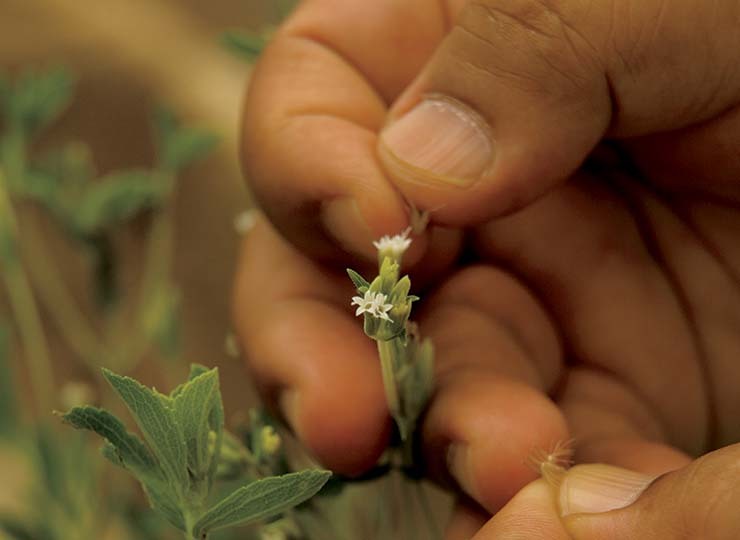 Stevia is currently grown domestically only in California. 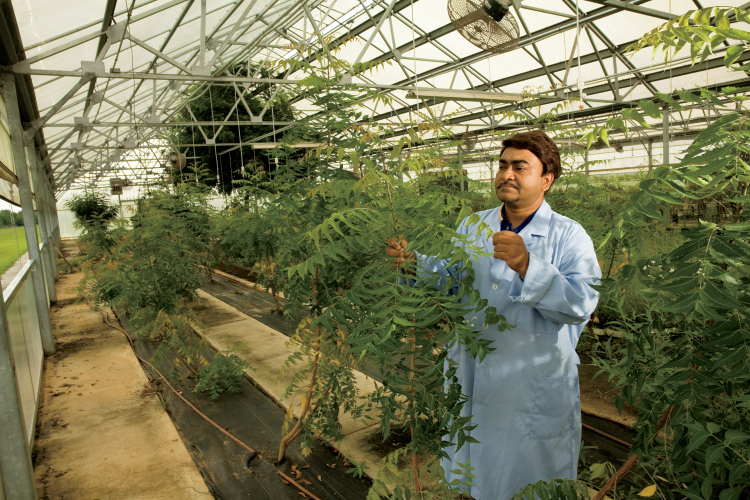 Kannan and his staff, led by Anand Yadav, the horticulturalist/biotechnologist overseeing the stevia research, believe stevia would grow well in peach and pecan orchards. “Intercropping peaches and stevia would give farmers a more efficient utilization of acreage and extra profit,” Kannan says. Field trials and laboratory research are being conducted at Fort Valley State’s campus and on Rigby Farm in Alma. Sweet Green Fields, a leading producer of stevia products, has partnered with Fort Valley State in the research and will supply the research materials. Kannan hopes FVSU’s research, which will take two years to complete, will help determine best practices for growing stevia and encourage farmers to try it. The research will determine the best propagation methods, expected profitability levels for farmers and methods with potential for maximum yield of sweet agent concentration. Once research is completed and farmers embrace a new commodity, there is still work to be done. How do farmers get their product in the hands of consumers? Small-scale farms usually sell directly to customers at farmers markets or through community- supported agriculture, but farmers producing larger quantities of a niche item, such as certified organic Vidalia onions, need a wholesaler to distribute their product. Organic wholesaler Destiny Organics has risen to meet this need. In 2001, Destiny Produce began as a conventional short house for Kroger. In 2008, Destiny changed its name and focus to become Destiny Organics, LLC, sourcing and providing an array of organic produce to retailers, restaurants and other foodservice outlets. In late 2011, Destiny Organics began a major strategic change to enhance its product line by concentrating on regional producers, striving to bring local produce and non-produce to the forefront.